I have two guests joining me in the studio for this episode. Alex is a proud husband of eight years and is a father to two children. 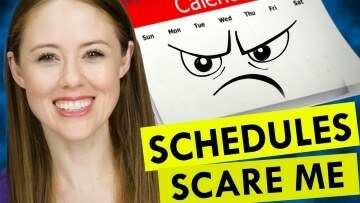 Alison joins Alex (her husband) on this episode. They have known each other since 2008, and she is a mental health nurse. In this conversation, you will hear Alex and Alison share how they have navigated the obstacle course that is a marriage or relationship with one person who has ADHD and one person who does not. Alex and Alison discuss their challenges and explain how they resolve conflict. Shawn Smith joins me on the podcast this week. 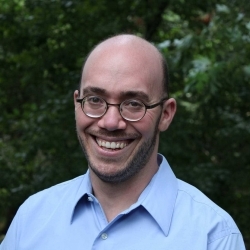 He is the proud founder and CEO of Don’t dis-my-ability Consultation Services, an innovative, multi-faceted coming specializing in the emerging field of neurodiversity. In this conversation, you will hear Shawn talk about his company and the services he provides. He explains why his company being located in a cooperative creates a constructive environment for his work. Shawn discusses his background, his struggles in school, his diagnosis, and why the entrepreneurial life fits him well. Maria Luisa Ruiz Luna joins me on this episode. 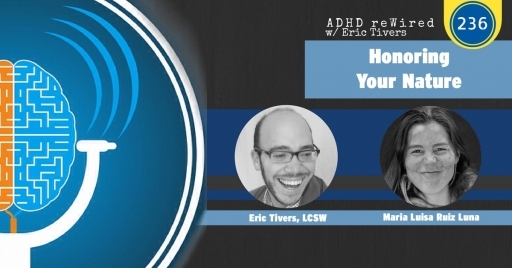 In this conversation, you will hear Maria’s insight into how ADHD impacts her, and how she lives her life. 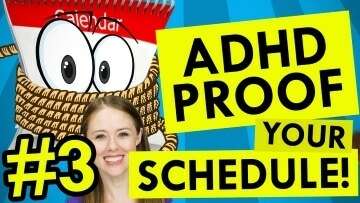 She points out that we live in a fast-paced society, which is challenging for those of us with ADHD. She shares some strategies for slowing down, embracing silence, and overcome this busy lifestyle we all live. This episode is the recording of August’s live Q&A. The questions answered in this episode were submitted by listeners of this podcast, both ahead of time and live. Brendan Mahan once again joins me on this Q&A. This month, we have a few questions on careers. 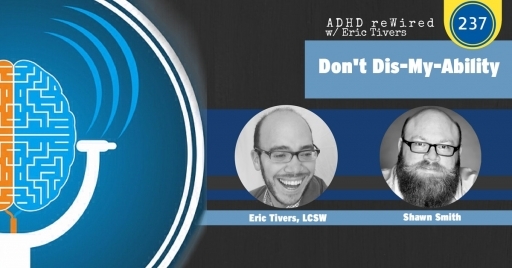 We talk about exploring careers and finding the one that best suits us and our strengths and weaknesses, and we talk about being successful with a manager or in a workplace that is not necessarily ADHD-friendly. Today’s guest is Bob LeVitus. He’s known about his ADHD for almost 20 years, and he says at this point, he considers it “kind of a blessing.” Bob is a Mac aficionado, and he’s going to help us understand how he uses different Mac products to improve his productivity, and hopefully help your productivity. 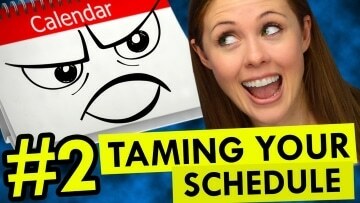 In this conversation, Bob shares a ton of great tips for organization and time management. Even if you don’t have a Mac product, I would encourage you to still listen to this conversation. 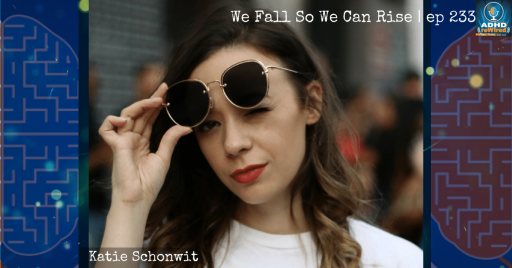 Katie Schonwit joins me on this episode. Katie is a 30-year old Brooklyn, NY native who is a Senior Office Manager and an Executive Assistant, a gamer, and a nerd extraordinaire. In this conversation, you will hear Katie’s story. Katie has experienced a lot in life, but you will hear that she has the perseverance to get past any barrier she encounters. She talks about her childhood, the early and sudden death of her mother, an abusive relationship, and multiple miscarriages. Today’s episode is the final installment of our special series of mastermind sessions we recorded with a small group of the ADHD reWired Coaching and Accountability Group alumni. In this conversation, we are going to help Tina address some challenges she’s having in her business. If you struggle with emotional flooding, overwhelm, or decision-making, you will like this episode. If you are an entrepreneur, I think you’ll love this episode. Brendan Mahan once again joins me on this Q&A. In this conversation, you will hear us discuss perfectionism, procrastination, and many other topics. You will even hear what prompted me to request a medication change.